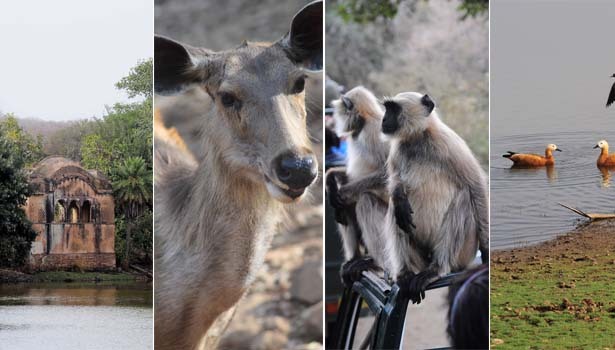 Ranthambhore National Park: The Ranthambhore National Park is one of the most visited ones in Rajasthan. Sighting tigers here is more successful than most of the other tiger reserves. 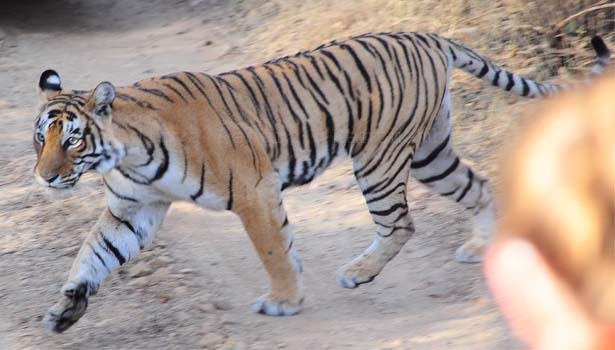 Tiger safaris are well organized here and Tigers of Ranthambore are known to be camera friendly and have been captured in many poses as well. At times they are outside the main reserve and it is possible for you to sight one without a ticket! The reserve is open between October and May. Safaris start early morning and then around lunchtime. The reserve closes by sunset time (depending on the weather). Tickets are to be purchased for entry and video cameras. Safaris can be very dusty, bumpy and tiring as the vehicles run on semi-paved roads with the reserve it is recommended not to have a heavy meal just before the safari. This national park is home to many wild animals apart from the tiger as well. This park covers an area of 392 km2 and is home to other wild animals including leopard, nilgai, wild boar, sambar, hyena, sloth bear and chital. It is also home to wide variety of trees, plants, birds and reptiles. It is also the site of one of the largest banyan trees in India. Ranthambhore Fort: Ranthambore Fort lies in the reserve itself though you need not buy a ticket to get into the reserve to see the fort. 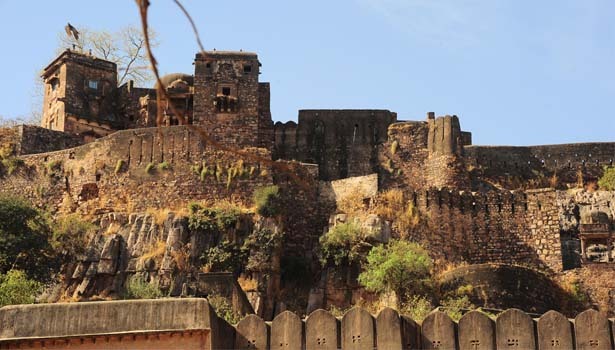 The fort is situated higher up and the view from it is quite amazing. A beautiful view of the sanctuary and about three lakes is visible. One of the most famous temples of Lord Ganesha is located atop the fort. The local post office receives and delivers thousands of invitation cards to the Lord Ganesha temple as people symbolically send the first invitation card for major functions like weddings, house warming, etc. to Lord Ganesh. Also, people come here and make stone miniature houses near the temple, signifying a wish for a real house.